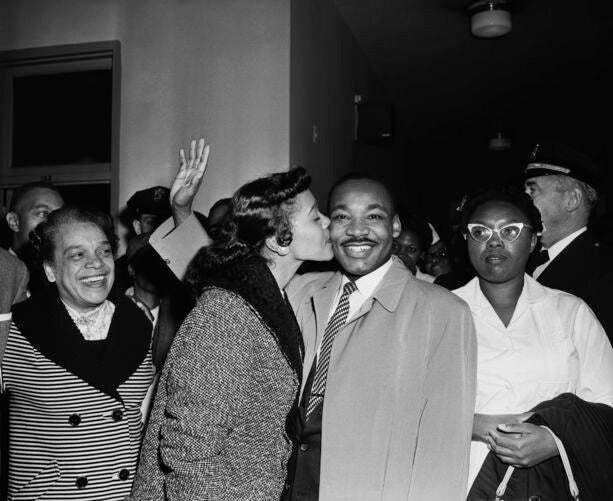 How Martin Luther King Jr's love kept it fashionable on the front lines and stylish behind the scenes. 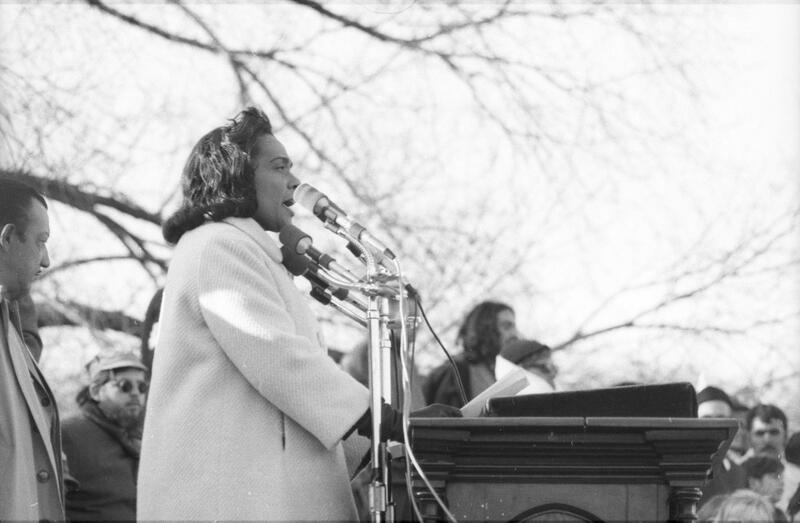 In 1953 Coretta Scott King wed Dr. Martin Luther King Jr. in a divine A-line frock with a lace bodice and tulle overlay, a matching tulle veil with sheer fingerless gloves. 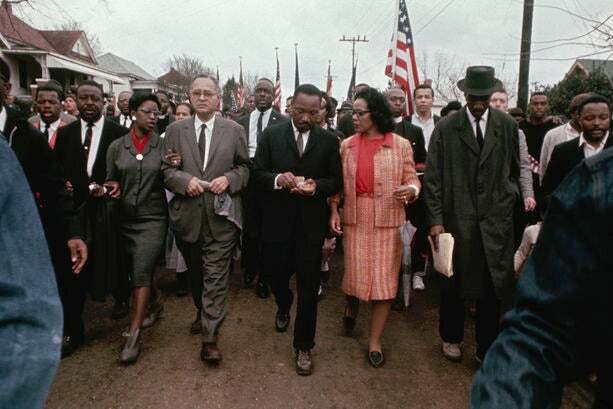 In Selma, Alabama Coretta Scott King was a standout during this march with Dr. Martin Luther King Jr. for her support of the movement, as well as for her coral-colored striped skirt suit. 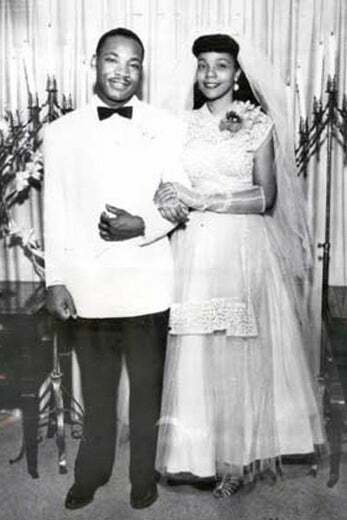 Not only was the couple powerful, but impeccably polished. 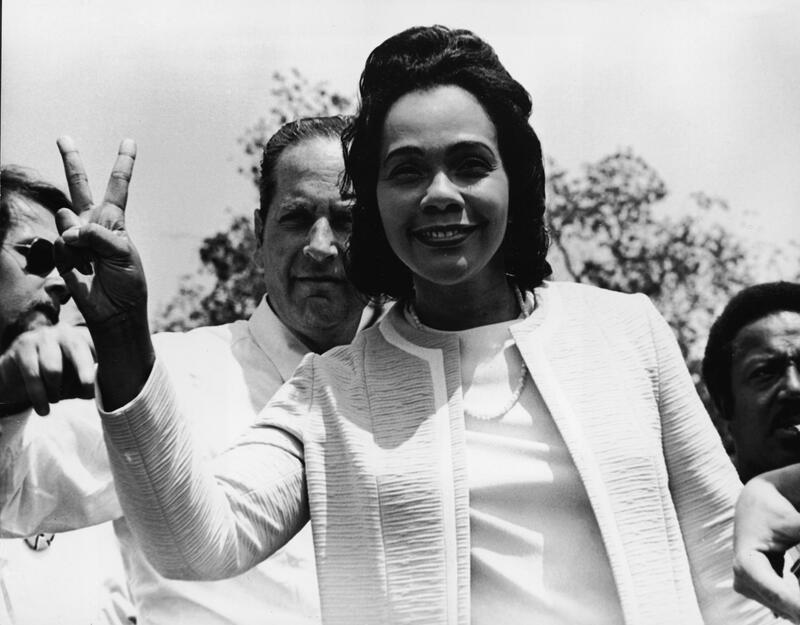 Coretta's fur-trimmed herringbone coat complements Dr. King's suited style perfectly leaving Harlem hospital in 1958. 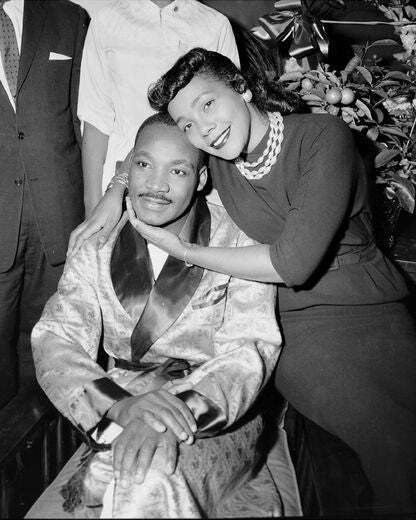 A seriously stylish shot of the couple shows Coretta in an LBD garnished with pearls and Dr. King dapper in a silk robe. 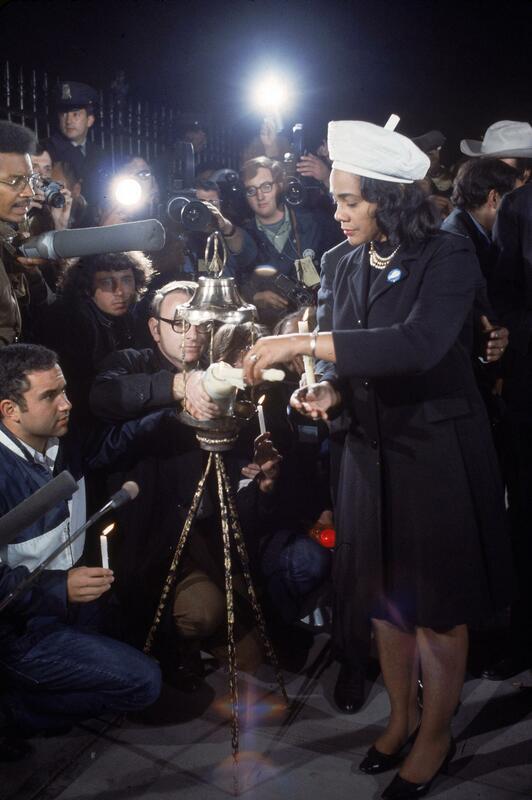 At a candle light vigil for Dr. King at the White House, Mrs. King mourned her husband in a solemn mahogany suit topped with a beret and gold-strung pearls. 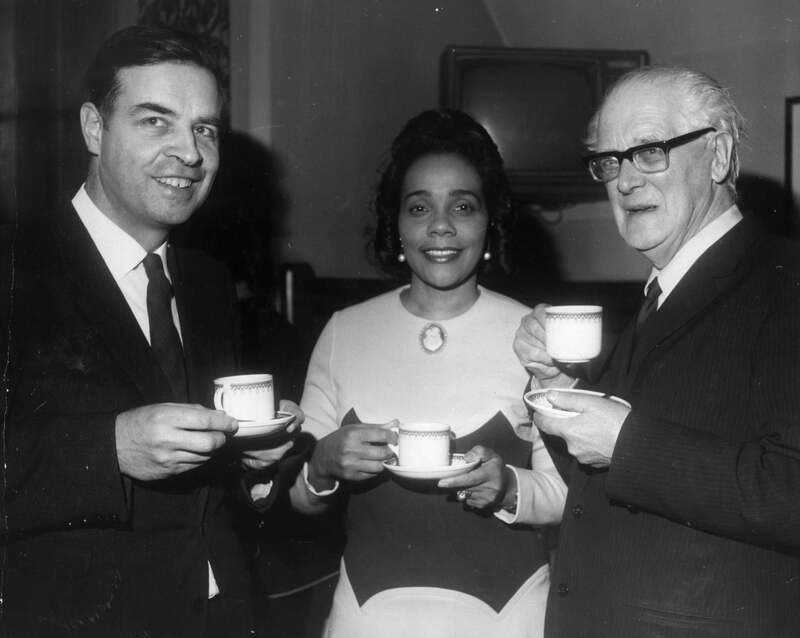 A tea party at the House of Commons in 1970 with Stan Newens, Chairman of the Movement for Colonial Freedom and Lord Browckway, called for a tailored shift dress, a classic cameo brooch and pearl earrings. 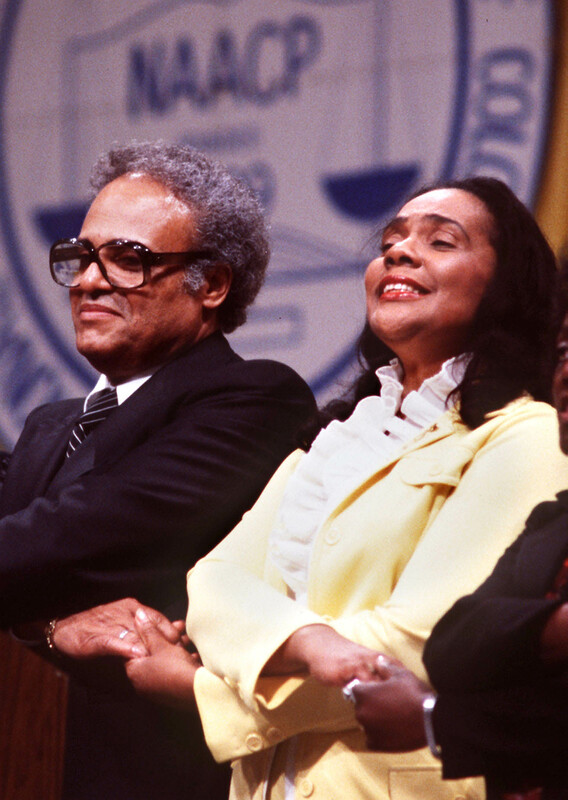 Donning ruffles and a mellow shade of yellow, Mrs. King sings along with Benjamin Hooks at the NAACP convention in 1980. 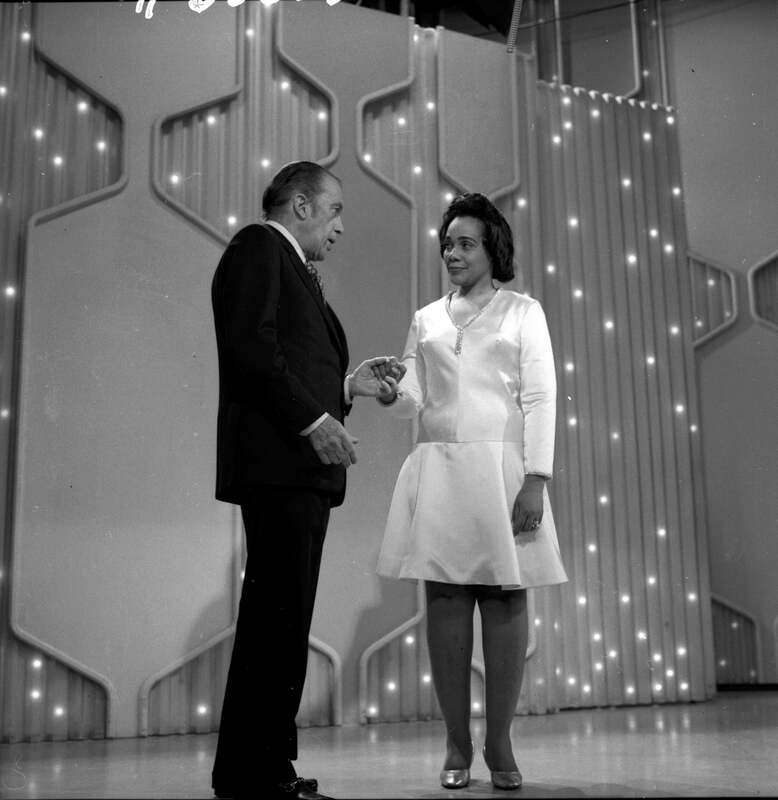 Coretta Scott King shines in a satin frock on stage with Ed Sullivan. It's all peace and love in a two-piece, collarless Chanel-esque set. 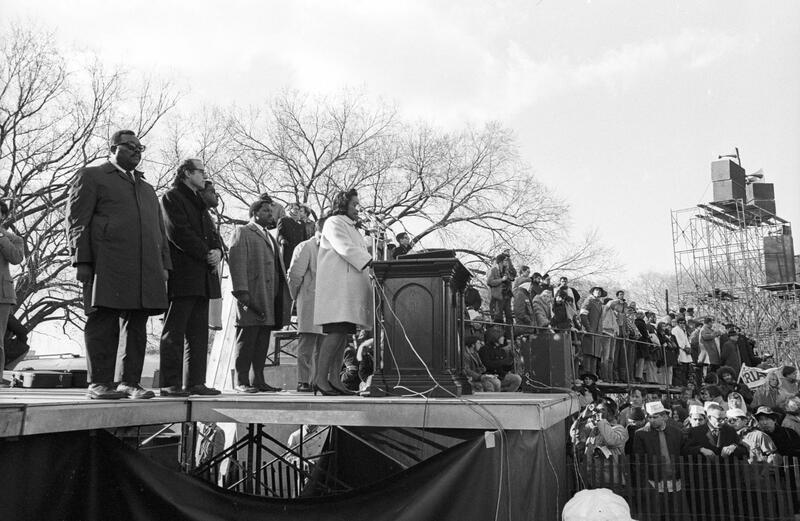 In 1969 Coretta Scott King approaches the podium in a chic cacoon-shaped coat. A close-up of her 3/4" sleeved coat and sleek gloves.